Shipshewana, IN -- Two legendary music headliners with a combined 80 years on the stage bring their acts to The Blue Gate Theater in Shipshewana May 4 and 5. 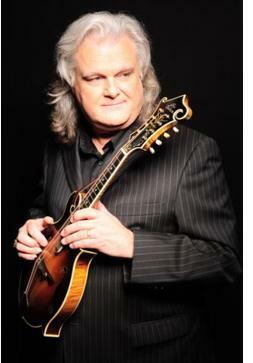 Fourteen-time Grammy winner Ricky Skaggs opens this blockbuster weekend lineup with a 6 p.m. show on Friday, May 4. On Saturday, the high-energy band Sawyer Brown will light up the Shipshewana theater with its crowd-pleasing show, also beginning at 6 p.m.
At 21, the Kentucky-born Skaggs was already considered a master musician, and he continues to do his part to lead the recent roots revival in music. The diverse and masterful tones made by the gifted Skaggs come from a life dedicated to playing music that is both fed by the soul and felt by the heart. Skaggs received his first mandolin at the age of five. By age seven, Skaggs had made his Grand Ole Opry debut and performed with bluegrass legends Flatt & Scruggs on their popular syndicated television show, for which he earned his first paycheck for a musical performance. Over his expansive career, Skaggs has earned 14 Grammy awards, along with numerous accolades from the Country Music Association. Skaggs appears in Shipshewana as part of a country-wide tour which has taken him from Florida to California to the historic Ryman Auditorium in Nashville, TN. Skaggs show will feature songs from newest release, “Country Hits Bluegrass Style”, a compilation of many of his country hits and fan favorites. Showcasing his Country and Bluegrass roots with his impeccable tenor voice, Skaggs will be backed up by his award-winning band, Kentucky Thunder. Two legendary music headliners bring their acts to The Blue Gate Theater in Shipshewana May 4 and 5. Fourteen-time Grammy winner Ricky Skaggs, and 6-time Country Group of the Year Sawyer Brown will light up the Shipshewana stage. Sawyer Brown was already on its way to making a name for itself when it was chosen by Star Search in 1983. That award brought them the notice they needed to launch a 23-year run as one of the most enduring, popular shows across several genres. Their soulful country style draws on their deep Southern roots, including an upbringing in the Pentecostal tradition. "Our music hits all the people who couldn't maybe verbalize these things," says band member Greg Hubbard, who co-wrote many of the band's songs along with front man Mark. "You have people tell us all these stories about what these songs mean to them in terms of their life, their families. You realize how much they care about their families, too – and those experiences we all have in common." The Blue Gate Theater has earned a reputation throughout the Midwest and the nation as a top-knotch family-oriented entertainment center. Tickets for both shows, as well as show packages which include dinner and overnight lodging at one of two nearby resorts, are available online at www.BlueGateTheater.com or by calling (888) 447-4725.